Comments: BRAND NEW Over 1,000,000 satisfied customers since 1997! We ship daily M-F. Choose expedited shipping (if available) for much faster delivery. Delivery confirmation on all US orders. Comments: Has heavy shelf wear, corner wear, highlighting, underlining & or writing. CD-ROM or supplement may not be included. The book is still a good reading copy. Taped spine. A portion of your purchase of this book will be donated to non-profit organizations. Over 1,000,000 satisfied customers since 1997! We ship daily M-F. Choose expedited shipping (if available) for much faster delivery. Delivery confirmation on all US orders. 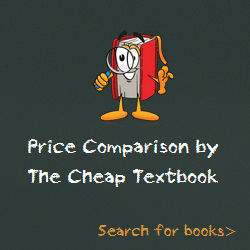 This entry was posted in Book and tagged 0323088546, 978-0323088541, 9780323088541, Top Textbooks August 2014 on August 28, 2014 by Textbooks.